We offer a daily range of individual gateaux and desserts for sale in our shop. Our selection usually includes fruit tarts, kunzle cakes, Viennese rolls, apple strudel, Mozart gateaux, almond and ginger slice and various other individual pieces of chocolate truffle gateaux. 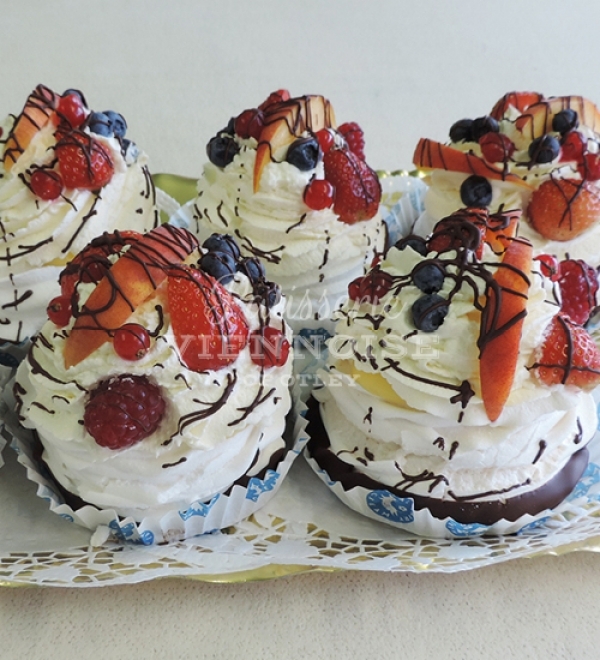 On Friday and Saturday we also make a variety of individual fresh cream gateaux. Choose from cheesecake, black forest gateaux, chocolate eclairs, fresh fruit meringues and Paris Brest. As a working bakery and patisserie, we regularly have new/unique items of confectionary for sale. Our whole gateaux and cheesecake are perfect for parties and celebrations. We offer an extensive list of flavours and sizes and just need one weeks notice. We also make our own ice cream in a variety of flavours. Choose from vanilla, chocolate, coffee, ginger, turkish delight or mint choc chip in either an individual or family sized tub. At Christmas, we even make Christmas pudding ice cream which is always very popular. At Patisserie Viennoise, we pride ourselves on our professional, personal and friendly customer service. If you would like more details about this design simply telephone us on 01943 467927 or call into our shop.